I recently wrote a piece titled, “Winning is Not Always the Measure of Defeat”. It dealt with having high expectations and situations not turning out the way you wanted or expected. I find myself writing on a similar topic, but really focusing on humility in the time of defeat. Last week was the final home game for Oklahoma State University (my Alma Mater). However, it was against University of Texas. Texas is my home state. So naturally there was some trash talk before the game. Well, my trash talk. Didn’t hear much from my family and friends. I think they knew better. It is better to talk trash after the game, not before it. I quickly realized that I messed up. We loss 28-7. The trash talk really began, but it was them, not me. I deserved it. I had to take a very humble approach and admit my defeat. It also made me think about the work and study I’ve done around humility. Let me share some insight into humility. An area of my life that I have personally been working on (not always my choice). I think without humility, no real success is possible. You can’t lead people, without first being able to admit your mistakes. Most leaders have an abundance of ambition, talent, and confidence, but few possess the humility necessary to sustain influence over time. I’ve found that many leaders typically shun humility because they see it as a sign of weakness or self-doubt. Many feel they have to be right on everything. After all, they are in charge. I find my character and personality tends to go down this similar path. Personally and professionally, I find myself trying to maintain self-preservation (whole different topic) and feel if I admit fault that I might be viewed or perceived as a weak leader. However, I consistently find that is not the case. When I am sincerely humble, I find I gain respect, loyalty and wisdom. How do you become a humble leader? Here are 5 things that bring about humility in a Leader. Responsibility – TAKE RESPONSIBILITY for your mistakes. Humble leaders readily accept responsibility for failure. Objectivity – In the words of Ezra Taft Benson, “Pride is concerned with who is right. Humility is concerned with what is right.” Humble leaders do not consider their own ideas and projects to be sacred. Open-Mindedness – BE OPEN!! Humble leaders have awareness of how much they don’t know. Inspiration – Humble leaders are appreciative people. Respect – Humble leaders see life as far bigger than themselves, and add value to other people by serving them. C.S. Lewis said…………..”Humility is not thinking less of yourself, it’s thinking of your self less”. I love this old story set in the Roman Empire times. We should not be concerned about not who is right and who is wrong. Leadership is about influencing people. It is about adding value to them. When we become humble leaders, we are able to get through the muck and mire of everyday task and situation. We are able to put aside the “trash” talk and focus on what provides value to those we lead. Once this occurs, we are on the path to excellence. Great leaders are humble leaders. 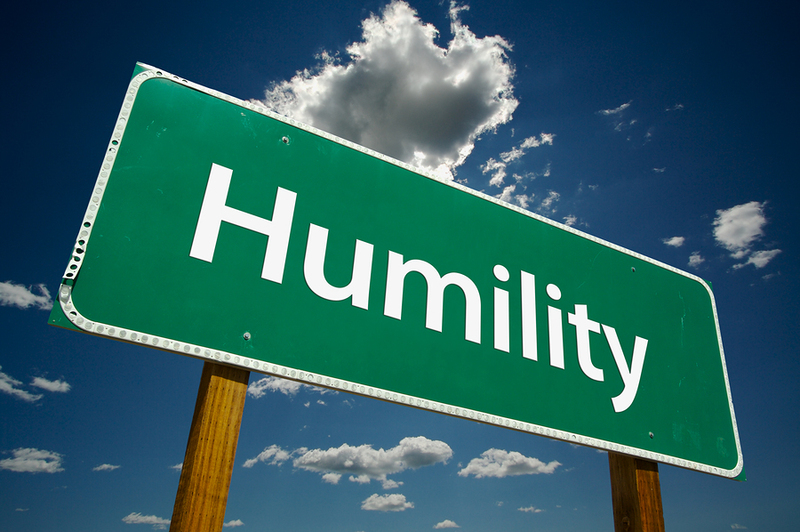 Humility is a must in leadership…………NEVER FORGET THIS………………IT’S NOT ABOUT YOU! !…………IT REALLY ISN’T!!! !